The BIM TOPiCS research group focuses on developing tools and techniques to: (1) interpret and evaluate Building Information Models (BIM) in support of design and construction coordination, (2) formalize construction and operations knowledge in relation to a BIM, and (3) interact with BIM data as part of a collaborative design process in digital environments. The goal of this work is to help project teams make more informed decisions by identifying the cost, constructability, and operational implications of their design decisions, and by better managing the model-based coordination process. This will be accomplished through the development of knowledge-based tools that allow designers and builders to “test out” different design and construction options virtually prior to construction. Our research aims to formalize the underlying knowledge required for such decision support systems. 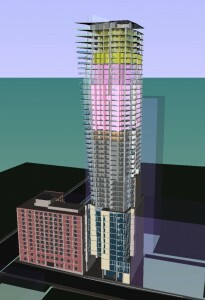 This work investigates the BIM adoption process within a project context. 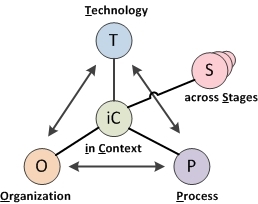 We have been studying BIM projects for over a dozen years and have found that successful implementation requires a balance between the three dimensions of Technology, Organization and Process (TOP), and an understanding of the Context and Stage of implementation. We recently utilized this framework to analyze seven different case studies: Building Information Modeling (BIM) ‘Best Practices’ Report: An investigation of ‘best practices’ through case studies at regional, national and international levels (Funded by Western Economic Diversification, Productivity Alberta, and the Alberta BIM Centre of Excellence). 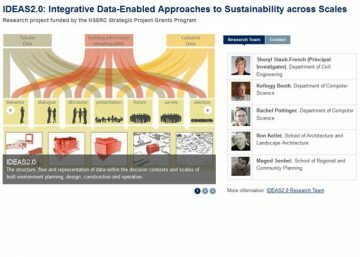 IDEAS2.0 (Integrative Data-Enabled Approaches to Sustainability across Scales) is a 3-year research project to develop new techniques and tools that will help decision makers to evaluate alternative designs and explore the performance attributes, costs and benefits more efficiently. 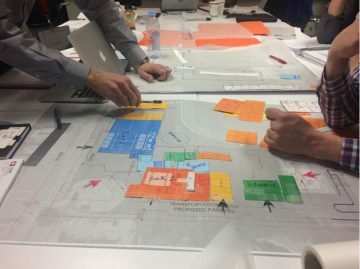 Using the University of British Columbia (UBC) campus as a case study, we will develop and test prototypes that will integrate the diverse sources of data, and allow diverse stakeholder groups to interact with the information as part of a collaborative decision-making process. IDEAS2.0 is a multi-disciplinary project with faculty from Architecture (Ronald Kellett), Computer Science (Rachel Pottinger and Kellogg Booth), and Planning (Maged Senbel). Artifact interactions: Tory, M., Staub-French, S., Po, B., and Wu, F. (2008). “Artifact-Mediated Coordination in Building Design.” Journal of Computer Supported Cooperative Work (CSCW), 17(4), p 311-351. Change Management (based on the work of Behzad Langroodi): Langroodi, B.P. and Staub-French, S. (2012). “Change Management with Building Information Models: A Case Study.” Accepted for publication in the Proceedings of the Construction Research Congress, ASCE, West Lafayette, Indiana USA, May 21-23, 10 pages. Query a BIM for construction-specific information (based on the work of Madhav Nepal): Nepal, M., Staub-French, S., Pottinger, R., and Webster, A. “Querying a Building Information Model for Construction-Specific Spatial Information.” Submitted to Advanced Engineering Informatics (Elsevier Journal) on July 20, 2011. Staub-French, S. and Nepal, M. (2007). “Reasoning about Component Similarity in Building Product Models from the Construction Perspective.” Automation in Construction, 17(1), p 11-21. Documenting the process of 3D and 4D coordination: Staub-French, S. and Khanzode, A. (2007). “3D/4D Modeling for Design and Construction Coordination: Issues and Lessons Learned.” Journal of Information Technology for Construction, Vol. 12, p 381-407. 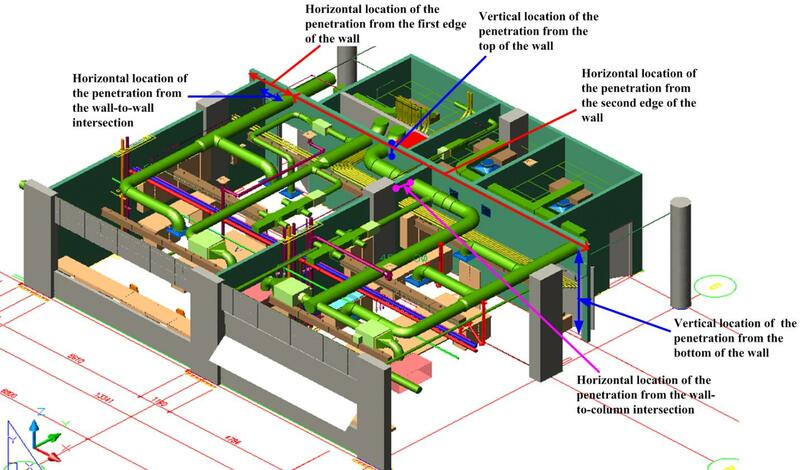 Interfacing BIM with Linear Planning to create 4D visualizations (for more information, refer to the work of Ngoc Tran): Russell, A., Staub-French, S., Tran, N. and Wong, W. (2009). “Visualizing High-rise Building Construction Strategies Using Linear Scheduling and 4D CAD.” Automation in Construction, 18(2), p 219-236. 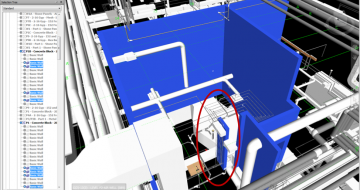 The current compliance assessment practices utilized by the industry, to ensure BIM quality, can be ineffective at supporting design decision-making and be very cost and time intensive. 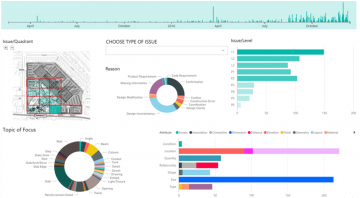 This research investigates the complexity in compliance assessment and proposes a new workflow using automated data analytics and interactive visualization. During the schematic design process, a critical challenge of space programming is the limitation in the link between the client’s requirements and design tools. This study investigates the current practices and challenges of space program requirements data management, and design workflow at a large scale international architectural/engineering firm. 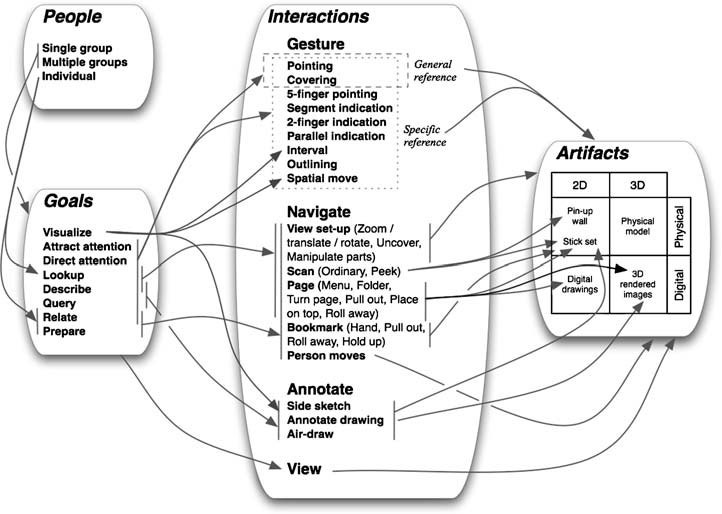 Part of this research was focused on the development of a dashboard and a visual computational tool to help designers extracting space programming requirements in an automated manner and improve the iterative design process of space programming by automating visualizations to assess the compliance of space programs. In this study, we develop visualizations of data in the RFI documents and investigate if it has potential benefits for construction project members. 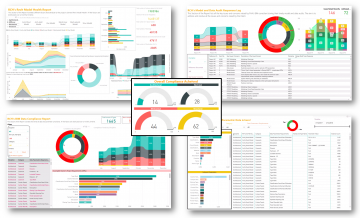 To extract and transform data from the semi-structured RFI documents, we develop a framework by employing the qualitative technique of content analysis. The contribution of this research is the development of a framework to structure and organize the information in RFI documents, the creation of a prototype dashboard visualization of RFI data, and the assessment of the potential benefits of RFI data visualization for decision making in the construction industry.